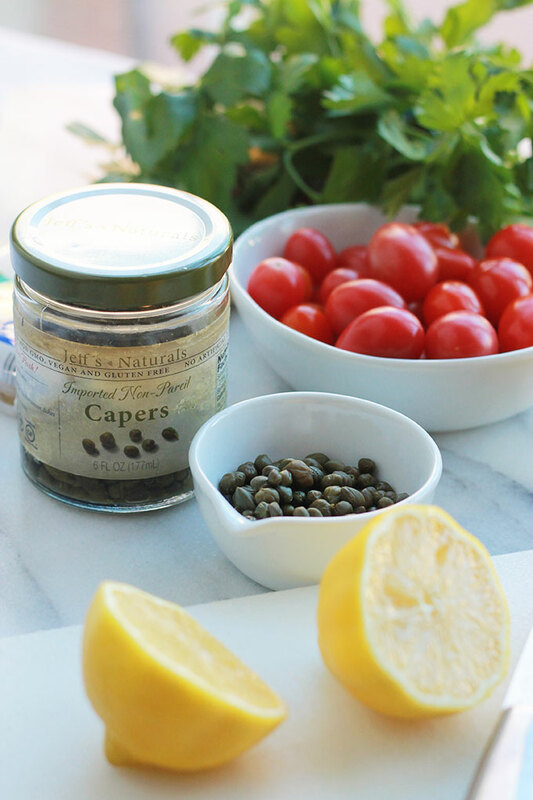 Delicate, delicious and oh-so easy! 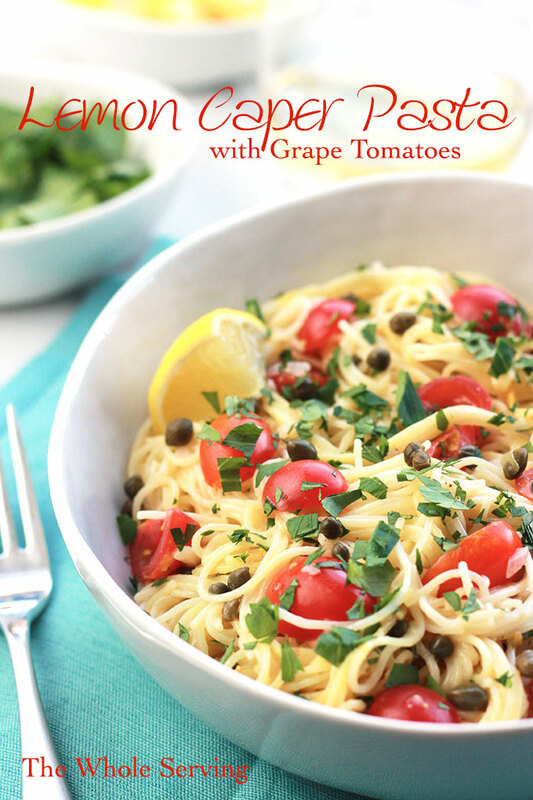 This Lemon Caper Pasta with Grape Tomatoes can be on the table in less than thirty minutes, perfect when you need a meal fast. So the kids are on summer vacation and your life just got crazy busy, right? What am I talking about it doesn’t matter what time of the year, we’re always busy, just a different kind of busy. 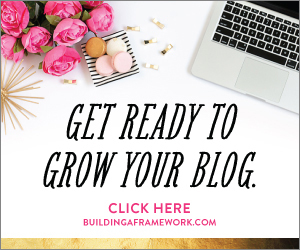 During the school year there’s school, after school activities, and family get-togethers, then summer brings vacations, summer activities and loads of outdoor gatherings. In all of that busyness it’s nice when you can put a quick, easy and delicious meal on the table. 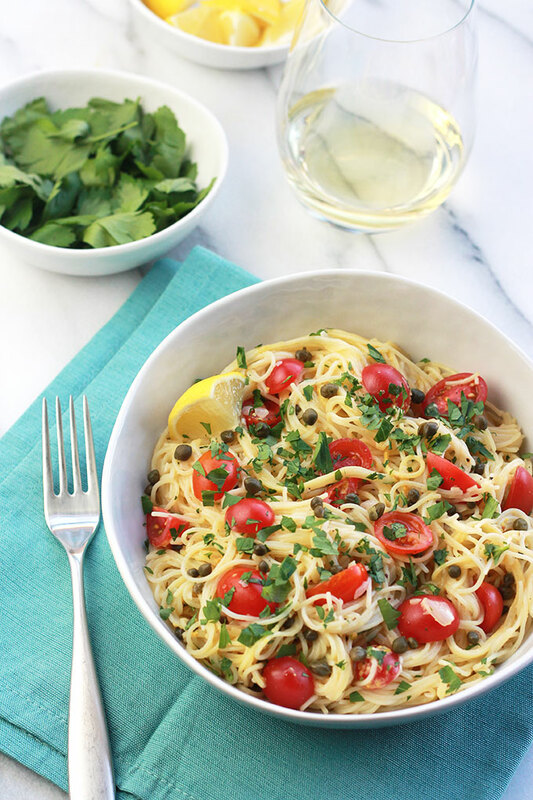 This Lemon Caper Pasta with Fresh Tomatoes is that super easy dish you can put together in minutes, light and fresh, perfect for summer. 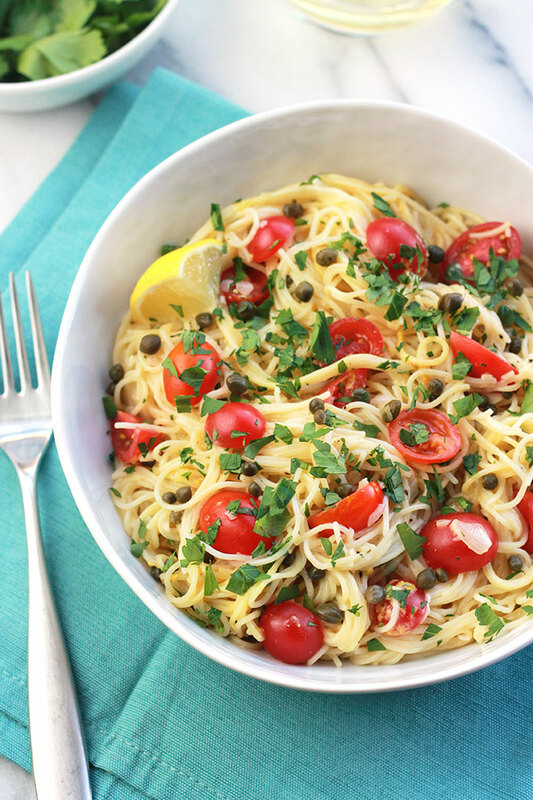 Pasta doesn’t have to loaded with heavy sauces. 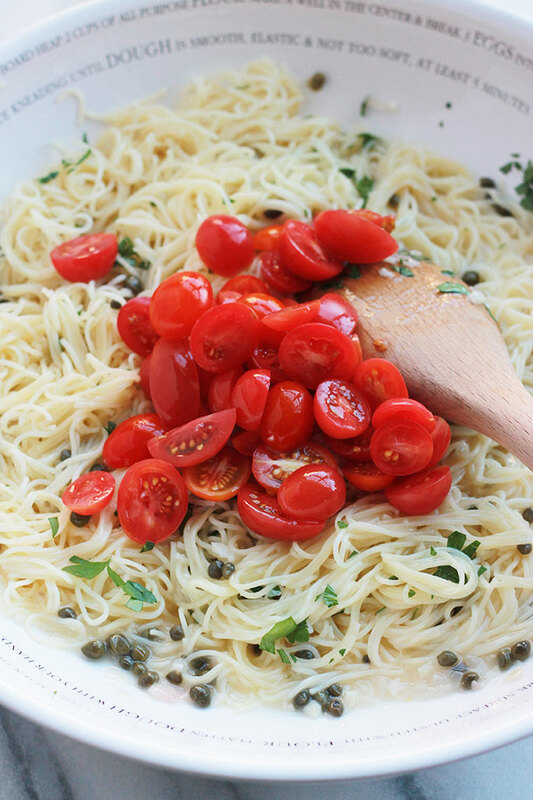 The combination of olive oil, lemon juice, wine and pasta water creates a delicate, delicious sauce. 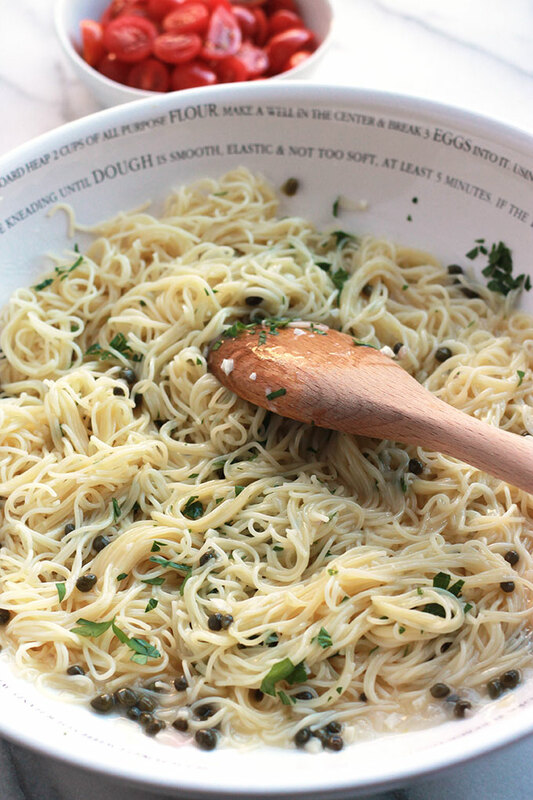 By the way, if you want to cut the carbs this sauce would be great over zoodles. 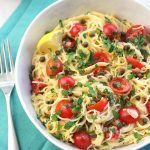 If you make this recipe tag @thewholeserving on Instagram and hashtag it #thewholeserving, I want to see your version of Lemon Caper Pasta with Grape Tomatoes. Celeste this looks so delicious and healthy. 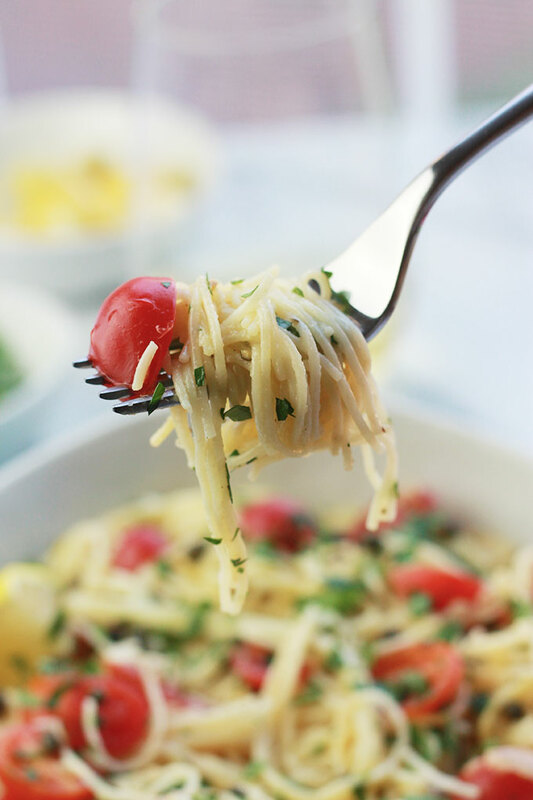 I am a big pasta eater and always looking for new ways to make it. This is definitely going to be pinned. I hope you have been well! Thanks Mary! I have been very busy but I am doing well. I miss being a part of the group, but life is just so busy right now, I’m afraid I wouldn’t be able to complete all the task. 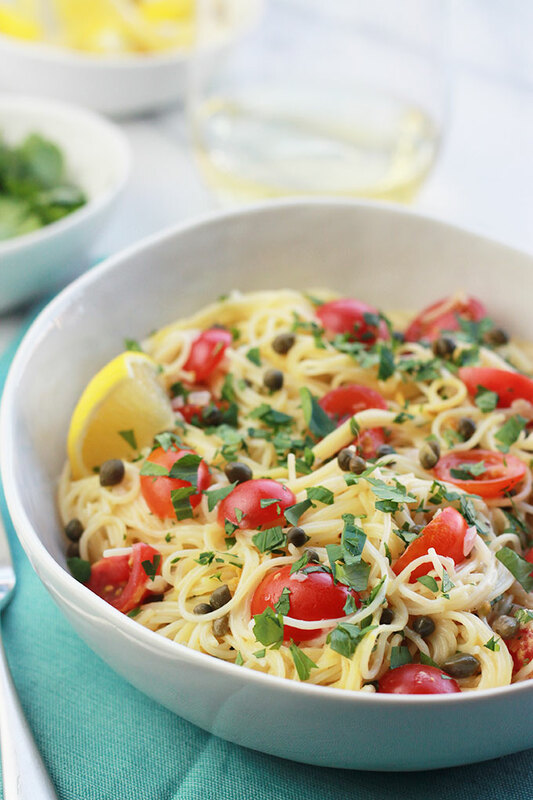 Looks like a perfect, quick weeknight meal! Will be trying this week. Thanks! 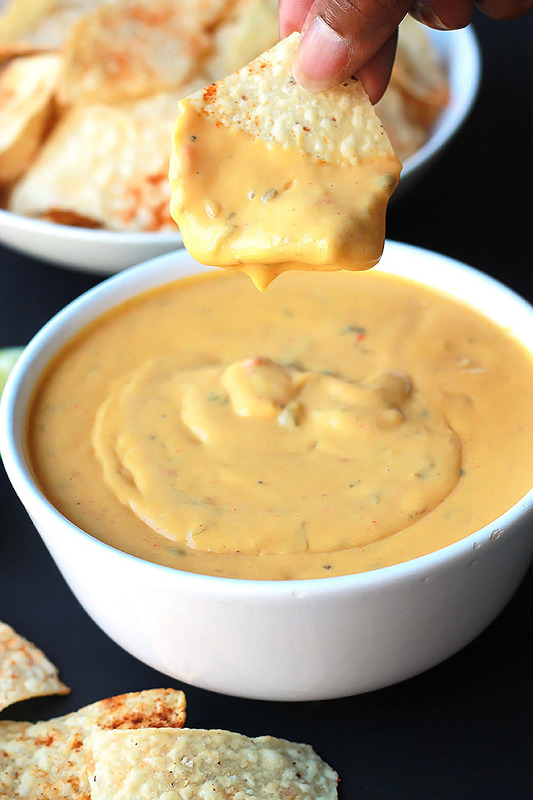 Steph I’m glad you like this recipe, it is super easy and so delicious.